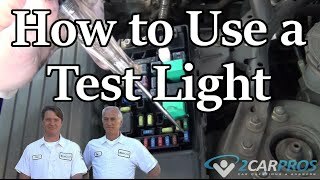 It sounds like it might be the hazard switch here is a guide to help you test along with the blinker wiring diagrams so you can see how it works. See where you are losing power. Check out the diagrams (Below). Please let us know what you find. My brake lights & turn signals stopped working. All fuses have tested good. Any other options? This sounds like the turn signal switch itself has gone bad here are instructions to help you change it out. 2. On models with tilt steering, remove tilt lever, then the steering column collar by pressing on collar from top and bottom while removing. 3. On all models, remove lower dash panel trim cover, then the column shroud retaining screws from bottom of column shroud. 4. Remove bottom half of shroud by pulling shroud down and toward rear of vehicle. Move shift lever as required to ease shroud removal on models with automatic transmission. 5. Lift top half of shroud from column. 6. Remove two switch attaching screws, then disconnect switch from casting. 7. Disconnect three electrical connectors, using care not to damage locking tabs. Use care not to damage selector indicator cable on models with automatic transmission. 1. Install three electrical connectors, ensure they are fully engaged. On models with automatic transmission, route wiring for switch under selector indicator cable. 2. Align switch mounting holes with holes in steering column casting, then install screws and torque to 18-27 inch lbs. 3. On models with automatic transmission, ensure selector indicator is adjusted properly. 4. On all models, position top half of steering column shroud onto column so that screw moldings on shroud seat in mounting bores in column. Place shift lever in its lowest position to aid assembly on vehicles with automatic transmission. 5. Install bottom half of shroud by sliding guides in bottom half of shroud into tabs in top half. 6. Install shroud retaining screws and torque to 18.5-25.6 inch lbs. a. Install steering column collar by pressing on top and bottom while installing on column. B. Install tilt lever and torque to 2.2-3.6 ft lb. 8. On all models, install lower dash panel trim cover, then connect battery ground cable. 9. Check multi-function switch and steering column for correct operation. Hello, I was wondering what would keep my turn signals from working? The hazard lights will not work as well. Check fuses in picture it looks like the flashers are part of interior fuse panel which may need to be replaced or a mechanic may be able to wire two flashers in. Not something for a person to handle. See picture. Thanks, I just got it fixed. My tail lights, brake lights and turn signal don't work. Changed the fuses and still have the problem. Check wiring to the tail lights. I believe there are a couple plugs that could be corroded or disconnected. Also, make sure everything is getting a good ground. My blinkers just quit working. Everything else on the column works -- the bright/dim switch, the windshield wipers, etc. No fuses are blown. Any suggestions on what needs to be done to repair this. Check fuses first. Sounds like your flasher relay has failed. I have replaced the bulbs and changed the fuses but the turn signals still won't work. Any suggestions? The switch could be bad. Did you check the left front bulb? It takes all the bulbs working to draw enough current through the flasher to make it work. With only one bulb working, the heating element in the flasher won't get hot enough to click off. That's why the rear bulb stays on. If a new bulb doesn't solve the problem, it is time to check the wiring. I was wondering how I would go about replacing the bulb. I've looked at the lens and didn't see any screws or ways of removing it. I looked under the hood and saw some screws and a wire that was connected to the light but I am not sure which light it is connected to. How would I go about removing the lens to get to the bulb? Follow the wires to the socket, grab that socket, and turn it counter-clockwise about 1/8 turn, then wiggle it while pulling it out of the rear of the housing. When it comes out, carefully push the bulb into the socket a little while turning it counter-clockwise as you're looking at the bulb. If it's rusted into the socket, you'll have to work it loose while turning it. In rare cases the bulb can break so don't use too much pressure. 1994 Ford Ranger Headlights Dont Turn On!